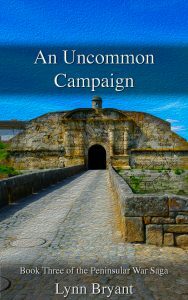 I began writing the Peninsular War Saga some years ago. At the time, I was attempting to find an agent or a publisher for one of my standalone historical romances, without much success. I had a lot of very positive feedback about my writing, my plots and my characterisation but everybody was saying the same thing; we’re sorry, but there is no market for traditional historical romance any more. More than one agent urged me to try to write a contemporary romance. I made several attempts and hated all of them. Many people told me that with just a little adjustment, I could write for Mills and Boon historical. Once again, I made the attempt, and the people at Mills and Boon were lovely, gave great feedback, but were just not sure that my characterisation was quite right for them. I was getting nowhere. To cheer myself up, I decided to scrap all my dreams of writing a marketable historical romance and just write something that I really wanted to do. There was definitely no market for a new series about the Peninsular War, since it had been done to death in the years following the runaway success of the Sharpe books and TV series. Still, it’s what I wanted to write, and since it was clear that nobody was going to read it anyway, I felt very liberated. I decided I could write it just for me, about a collection of people who didn’t always feel heroic or brave or even that patriotic. A lot of them joined because they had no option, or because they needed a job. They fought and they died and a lot of them became heroes. They also got wet, got grumpy when they were hungry, got sore feet and developed a bad head cold from time to time. I wanted to explore areas of the war that I’d not really seen a lot about. What about the medical services? How did the commissariat work and who was responsible for ordnance and transport and prisoners of war? And what about the women and children who followed the army? What was it like in camp and on the long marches and all the boring hours between battles and skirmishes? What were relationships like between officers and men, away from the parade ground and the tidy regulations which governed army life? Out of all these questions was born the Peninsular War Saga. Finally tired of trying to persuade an agent or a publisher to read one of the books, I decided to publish independently, without really thinking I’d sell more than a dozen copies, let alone develop an enthusiastic following. With book five doing well and book six in the early planning stages, I consider I’ve been incredibly lucky. The Peninsular War Saga tells the story of the men and women of the fictional 110th Infantry during the wars against Napoleon; in particular, a young officer called Paul van Daan who joins the regiment in 1802 as it is about to go to India to fight under General Arthur Wellesley. From the battle of Assaye, through Italy, Copenhagen and Portugal, we follow the early career of Lieutenant Paul van Daan, the most unusual officer ever to join the 110th as he attempts to find his place in the regiment. Along the way he makes both friends and enemies, discovers a talent for leadership and shares his life with two very different women. 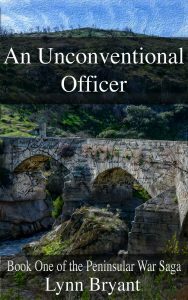 An Unconventional Officer is slightly different to the other books, as it covers a longer time period, almost eight years. I wanted it to be a full introduction to Paul’s story and to get him to the point where he was well-established in Wellington’s army. While it introduces many of the main characters, the heart of this novel is the love story between Paul and Anne and its theme is Paul’s gradual development from a young officer willing to break all the rules, to a slightly more mature officer who is beginning to learn to fit in a little better. This book is really a spin-off from the Peninsular War Saga, but it fits very securely within the series as well. It takes place halfway through the action of An Unconventional Officer, during the Copenhagen campaign, which is mentioned, but not explored in book one. I adore this book, partly because the navy theme enabled me to set part of it on the island which is my home and which I love, and partly because it is a real coming-of-age book for Major van Daan as well as a key point in his developing friendship with Sir Arthur Wellesley. It is 1806 and Captain Hugh Kelly RN returns to the Isle of Mann after fifteen years with a few months leave and a small fortune in prize money to find himself a sensible Manx wife. He pays court to Roseen Crellin, who is determined to resist her father’s efforts to find her a husband. Still dreaming of the young English soldier who sailed away and broke her heart, she has no intention of encouraging Captain Kelly’s courtship and certainly no intention of developing feelings for the man. Major Paul van Daan is newly promoted and just back from Ireland, sailing with his battalion to Copenhagen under the command of Sir Arthur Wellesley. Paul’s courage and talent are unquestioned but his diplomatic skills need some work and in a joint operation with the navy there are many ways for a man of Paul’s temperament to get things wrong. 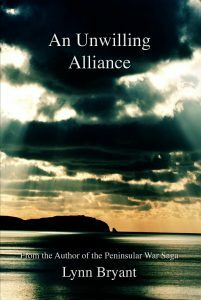 As Britain hovers on the brink of war with neutral Denmark and the diplomats and politicians negotiate to keep the Danish fleet out of Bonaparte’s hands, a more personal drama plays out on the decks of the Royal Navy and in the lines of Lord Cathcart’s army which could change the lives of Hugh, Roseen and Paul forever. This book covers an area of the war that I knew very little about. The building and manning of the lines of Torres Vedras are absolutely fascinating and worth a lot more time than I was able to give them. It is also the story of a young couple learning to be married, and sets the tone for Paul and Anne’s relationship throughout the series. If you don’t leave your hero and heroine at the church door, you have to work out what their marriage is going to be like, and I loved the challenge of that. On the heights of Bussaco Ridge, Paul van Daan leads his battalion into action under Lord Wellington in his defeat of the French under Marshal Massena. The book explores Paul’s developing career, and the happiness of his marriage to the lovely young widow of a fellow officer. 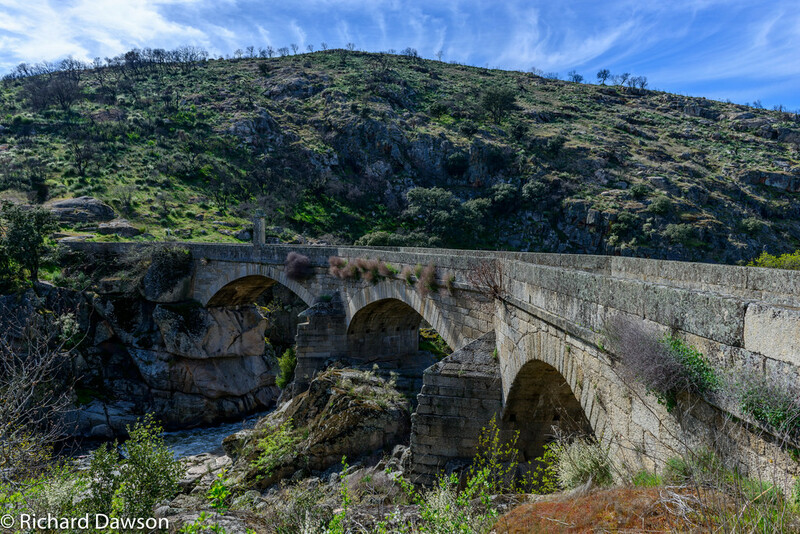 As Wellington prepares to chase Massena out of Portugal, Paul is serving under the worst general in the army and must find a way to keep his regiment safe and protect his reputation. In addition to the battles and the personal stories of my characters, I wanted to introduce something about army politics during this book. I particularly love finding an interesting, funny or even a very sad story from history and trying to work it into the lives of my characters. Lord Wellington has led his army to the Spanish border where the French occupy their last stronghold in Portugal at Almeida. As the two armies face each other in the village of Fuentes de Onoro, Colonel Paul van Daan is becoming accustomed to his new responsibilities in command of a brigade and managing the resentment of other officers at his promotion over older and longer serving men. His young wife is carrying their first child and showing no signs of allowing her delicate situation to get in the way of her normal activities. And if that was not enough, Paul encounters a French colonel during the days of the battle who seems to have taken their rivalry personally, with potentially lethal consequences for the 110th and the rest of the third brigade of the light division. This was definitely the most emotional book for me to write. I wanted to highlight the plight of women in wartime, and I’m proud of this book, but it was extremely painful for me. 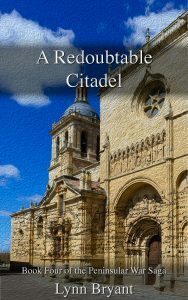 In the freezing January of 1812, Lord Wellington pushes his army on to the fortress town of Ciudad Rodrigo and a bloody siege with tragic consequences. Colonel Paul van Daan and his wife Anne have a baby son and in the aftermath of the storming, take a brief trip to Lisbon to allow Paul’s family to take little William back to England. With his career flourishing and his marriage happy, Paul has never felt so secure. But his world is shattered when his young wife is taken prisoner by a French colonel with a personal grudge against Paul. As Wellington’s army begins the siege of Badajoz, the other great Spanish border fortress, his scouts and agents conduct a frantic search for the colonel’s wife. Meanwhile Anne van Daan is in the worst danger of her life and needs to call on all her considerable resources to survive, with no idea if help is on the way. This book covers both triumph and miserable retreat and was a wonderful opportunity both to introduce some new characters and to revisit one of the major storylines from the first book. It turned out to be more emotional than I expected and I loved being able to highlight one of my favourite characters whom I felt I’d neglected a little. The story of the retreat from Burgos was impossible to glamorise and highlighted both the best and the worst of Wellington’s army. 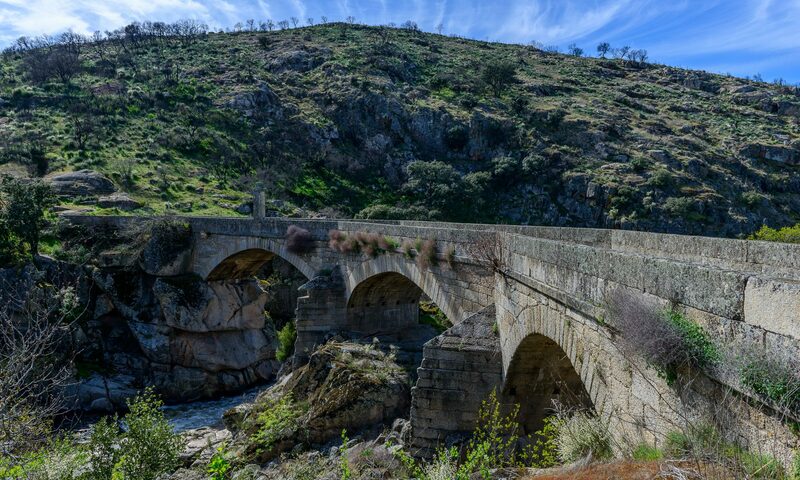 It is June 1812 and back with her husband and his brigade, Anne van Daan is beginning to recover from her ordeal at the hands of Colonel Dupres as Lord Wellington marches his army into Spain and up to Salamanca. In a spectacularly successful action, Wellington drives the French back although not without some damage to the Third Brigade of the Light Division. Still recovering from their losses at Ciudad Rodrigo and Badajoz earlier in the year, the Light Division remains in Madrid while Wellington lays siege to Burgos but some of Paul’s brigade have troubles of their own. 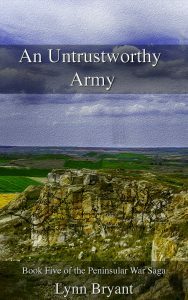 Lieutenant Simon Carlyon is determined not to allow his dead brother’s shameful reputation to blight his career in the army but finds it harder than expected to serve under the man who killed him. Colonel Johnny Wheeler is finding the lie he told to protect others difficult to live with, faced with the unrelenting hostility of a young officer. And Captain Michael O’Reilly’s life becomes complicated through a casual act of kindness. The end of the campaigning season is not going as well for the Allied army and triumph turns to an undignified and dangerous retreat. At a time when the discipline of Wellington’s army seems to have broken down, Van Daan’s brigade need to set personal matters aside and concentrate on staying alive long enough to reach safety. That’s as far as I’ve got with the novels. My next book is intended to be the sequel to An Unwilling Alliance, covering the disastrous Walcheren campaign of 1809. I’ve not been able to find a novel covering this campaign before so it feels like uncharted territory. I intend to pick up Hugh Kelly’s story, but as the campaign once again involved both army and navy, I will be joining the men of the 110th second battalion, who, while Major van Daan was leading the first battalion to glory in the Peninsula, were unlucky enough to be sent to Walcheren. The working title is An Inauspicious Expedition. Looking at that list, I feel a combination of excitement and sheer terror. At present I seem to be able to manage two books a year, but some of these will take more research than others, so I don’t promise that. There will also be more in the Manxman series, since I hope at some point to be able to reunite Hugh Kelly and Paul van Daan. Currently, I’m beginning the research for the book about Walcheren, which will be published some time next year; I can’t give a date yet until I have a better idea of how long the research will take. I’m also making notes about book 6 in the main saga, which may be quicker to write, given that it is set outside of the main battles and campaigns, although obviously, given that this is the 110th, there will be some action. So far, most of the books have been published only as e-books, but I am working at changing that. Early next year I am hoping to have all the books in paperback on Amazon, and then to get them into some bookshops or for sale on my website later in the year. 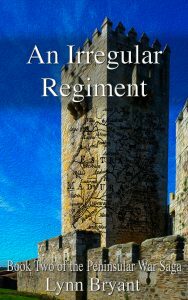 I’ve come a very long way from believing that nobody wants to read another series about the Peninsular War, and I’m so grateful to all my readers, especially those who follow me on facebook and twitter and visit my website regularly. Some of you have left fabulous reviews as well, and every good review is like a gift, even if it’s only a couple of lines. 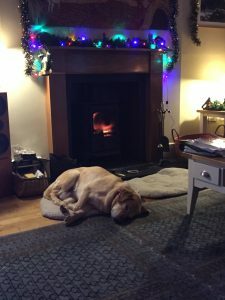 It has been a good year in many ways at Writing with Labradors, despite losing our beloved Toby. We’re so grateful we have Oscar to step into his paw prints, and we’re looking forward to an even better 2019. In the meantime, remember to look out for book giveaways on Amazon on Christmas Eve, in honour of the Jolabokaflod or Christmas Book Flood. And for future giveaways and updates, please click on the link to subscribe to the newsletter. 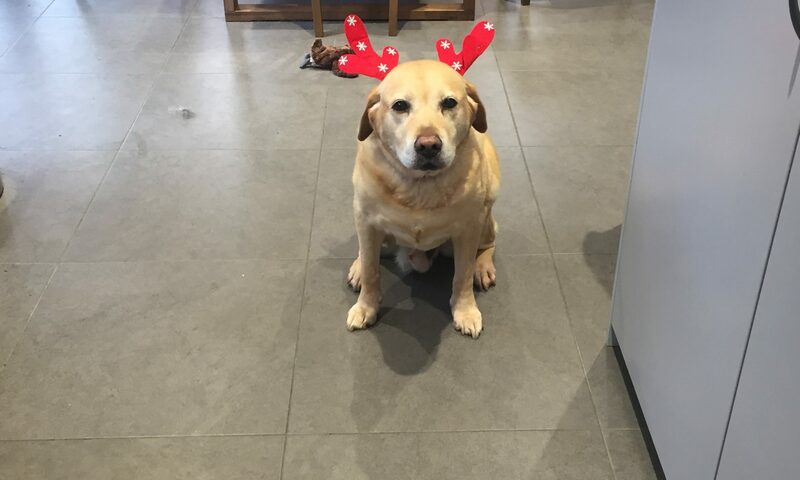 Merry Christmas and a Happy New Year from all of us at Writing with Labradors.